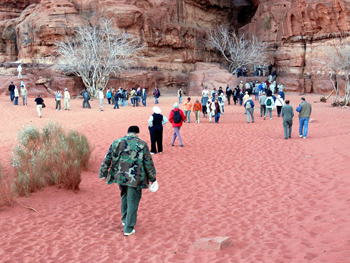 After breakfast you will start hiking with the guide to the White Desert and at around mid-day you will stop for lunch. Here you will have an hour to relax while your guide makes your lunch. After lunch you and your guide will continue your hike in the White Desert and then head back to the camp for another beautiful sunset.